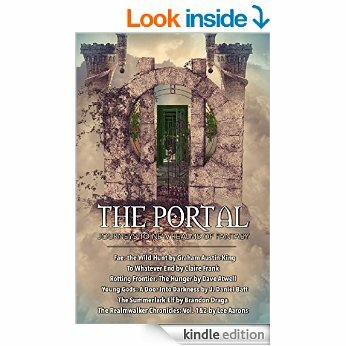 I bought this book as part of a six-pack, Realmwalker publications "The Portal." 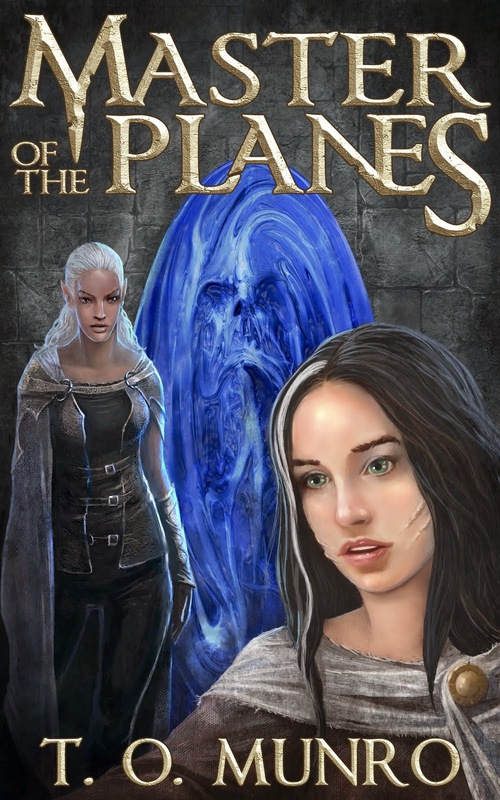 Although I had already read one of the six stories "Fae: The Wild Hunt" by Graham Austin-King (You can read my review of it here) five full novels for £5.13 still represented pretty good value. 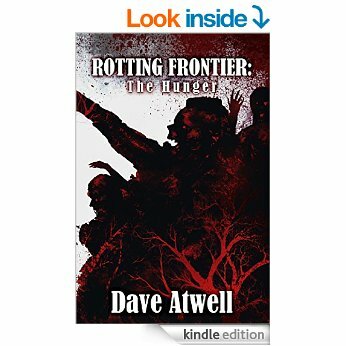 The second story in the pack to catch my eye was book one of "The Rotting Frontier: The Hunger" by David Atwell and, as it is a separate novel I will review it separately, even if I didn't buy it that way. Atwell's story snagged my attention because of the setting. As a child in the 70s I lived on a diet of cowboy films. It seemed the wild west, in truth probably far shorter and less bloody than the films would have us believe, was the only thing anyone could make films about. But in the 70s the cowboy meme was already fading from the cinema apart from comedic blips like "Blazing Saddles." Even Clint Eastwood's subsequent intermittent attempts at cardiac de-fibrillation with hits like "Pale Rider" and "Unforgiven," did little to fundamentally reanimate the corpse of a much loved but sadly expired genre. How could majestic scenery and gritty unshaven gunslingers compete with CGI and space opera. 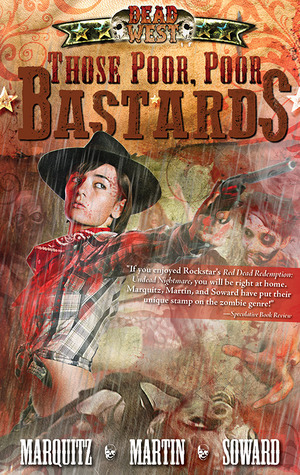 But then I read "Those Poor, Poor Bastards" by Tim Marquitz, J.M.Martin and Kenny Soward. Here was another way in which the good old western was to be resurrected, ironically as a zombie apocalypse. I would say that Shane would be spinning in his grave at the idea, except that he wouldn't, he'd be crawling from it clabbered in grave rot and hungry for human flesh. So that experience gave me an itch to scratch, with other alternative history westerns. 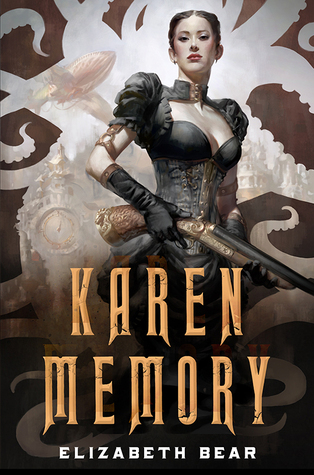 I tried and enjoyed Elizabeth Bear's "Karen Memory" steampunk western which started in a bordello but never descended into crudity. Which set me up nicely for Atwell's take on a different kind of cowboy story. To be fair his is not really a zombie story. 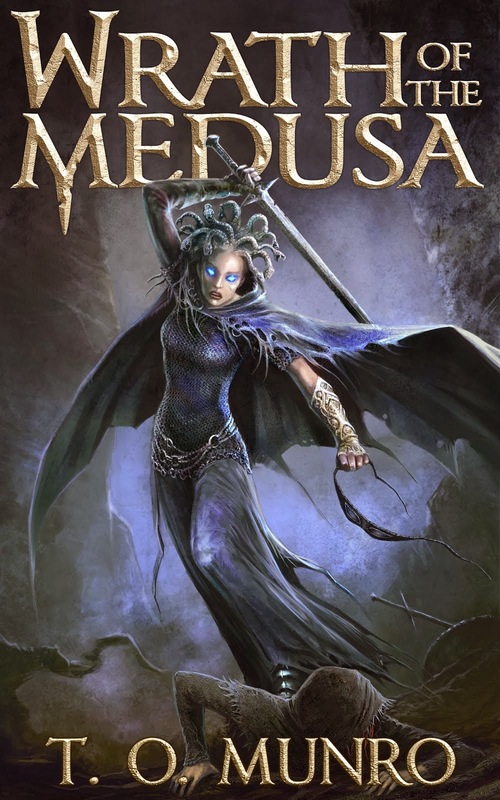 The flesh eating human monsters have not died, though their bite does infect and condemn others to the same desperate hunger. They also seem easy enough to kill provided the weight of numbers doesn't do for you. In many ways their affliction is like the rage that consumes people in the films 28 Days Later and 28 Weeks Later. Atwell's unique take on this notion of infectious cannibalistic human monsters is to delay the onset of insanity. Provided the afflicted feed regularly on human flesh they can stave off the madness and continue to function as rational if somewhat psychopathic human beings. 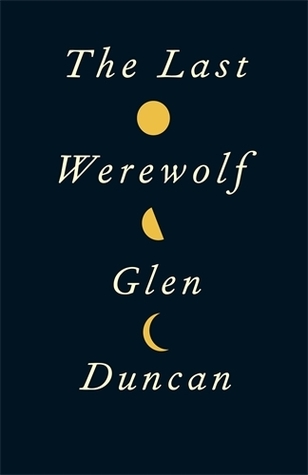 I have seen this kind of motif - the rationality hijacked by a hunger it cannot deny - also used well in the eponymous hero of Glen Duncan's "The Last Werewolf." That then is the life Atwell breathes into the western format. It is not a spoiler for me to mention it because it emerges pretty early on in the story and in fact even before the story starts with an author's explanation of what it is like to have "The Hunger." And that is part of the oddity of this book. There is a not quite polished enthusiasm which propels but sometimes encumbers the story. There is front-matter which might better be placed as back-matter, a note from the author a dedication which reads like acknowledgements, a list of the dramatis personae and the early reveal (pre-reveal) of the nature of the sickness. To me these pages were merely gossameer curtains of distraction to be brushed aside in my desire (hunger?!) to get to the story. The story proper begins with a wagon carrying Thomas Hutton and his family to a new life in the West. They and their eldest sons bear with them differing traumas from the recently concluded civil war. I was worried at first that Thomas and his wife Beth's penchant for giving all five children names beginning with "A" might cause me a little confusion, but their characters separated out well enough with the two eldest boys, Axel and Amos, a nice juxtaposition of ruthless survivor and naïve idealist. The family stumble upon an abandoned settlement where all that seems to threaten their peaceful rest are coyotes who would prey upon their oxen. But then the rotters arrive and survival becomes distinctly more difficult. I don't like to give spoilers. Suffice to say that the Huttons gain help from a surprisingly well concealed community of other survivors including a remarkably resilient blacksmith and part-time pastor. The main engine of the story is the conflict that inevitably occurs when circumstance forces people together in despite of all notions of personal space and under severe external threat. Just as the little community in Anne Frank's attic suffered from mundane tensions in the shadow of horror, so too the Vatt's Crossing crowd face simple real human perils and desires. Notwithstanding the collapse of society around them, prejudice, greed and misplaced morality still drive selfish actions. Foolish choices threaten the survival of everyone and in particular those the perpetrators most profess to love. "Damn any man who sympathizes with Indians! ... I have come to kill Indians, and believe it is right and honorable to use any means under God's heaven to kill Indians. ... Kill and scalp all, big and little; nits make lice." It makes Atwell's Colonel Lexington Banks, far from being the caricature he first appears to be, into something approaching a faithful historical representation. The Native Americans make credible allies. There is an earnest desire in Atwell to be fair to all groups, to have his characters show a respect for diversity which at times, to an untutored eye, appears more fitting to a modern context than contemporary with the period. But then, Elizabeth Bear's "Karen Memory" had a refreshingly robust attitude to prejudice and why should an author not challenge prejudices and champion humanity while still telling a good story. There are some acts of generosity and some macguffins of invention which stretch credulity a little. If Tony Stark or Emmett Brown had dropped into the settlement of Vatt's Crossing even they might raise an eye at the imaginative solutions to some insuperable problems, while the gift which set the Hutton's heading west could only be believed if there were some greedier motive of self-interest at work - and perhaps there was. 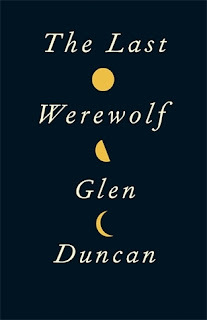 However, the story is the thing, and the story rattles along at a good pace. 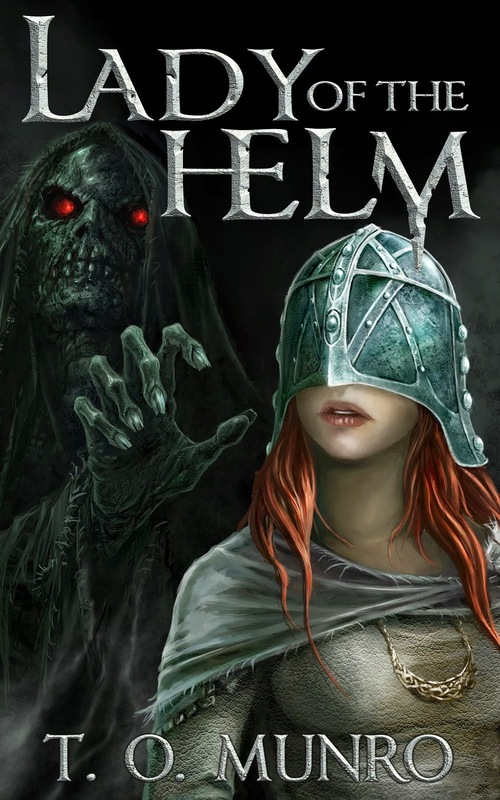 Bloody action is described in skull crushing detail and, while some of the plot kinks are foreshadowed a little too obviously and the prose could in parts be more polished, that doesn't make the ride any less enjoyable. Our band of survivors prove a little better at surviving than the miscellaneous groups who gather in a George Romero film. That is to say, a surprisingly large number of them make it to the "final reel", but there are some significant fallers along the way and this is after all only book one. Plenty of life (or death) left in the story yet.